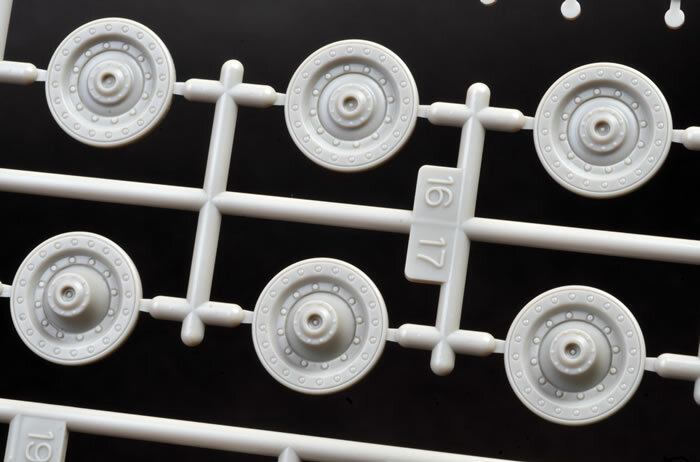 Media and Contents: 192 plastic parts in grey coloured plastic (test shot sprues);four steel ingots; ten polythene caps; markings for one vehicles. 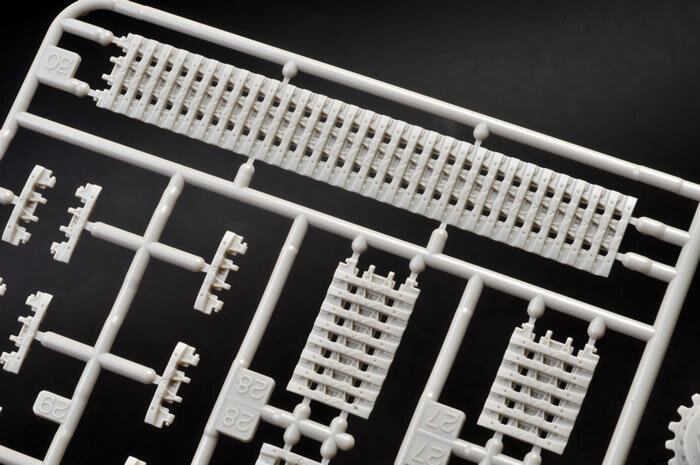 Advantages: Straightforward build; interesting subject; high level of detail; excellent fit; link and length tracks; includes one crew figure. Disadvantages: No zimmerit straight from the box. The Elefant was essentially a reconditioned and improved Ferdinand. During 1943, the Ferdinand tank destroyer on the Eastern Front suffered from mechanical problems that were compounded by poor visibility and the lack of any close defence weapons. The large smooth steel surfaces were also a magnet – quite literally – to infantry-placed explosive charges. The surviving Ferdinands were therefore withdrawn and rebuilt with more reliable engines, a modified Panzer III cupola with all-round episcope vision, a bow mounted machine gun, and renamed "Elefant". Zimmerit coating was also applied to combat magnetic charges. 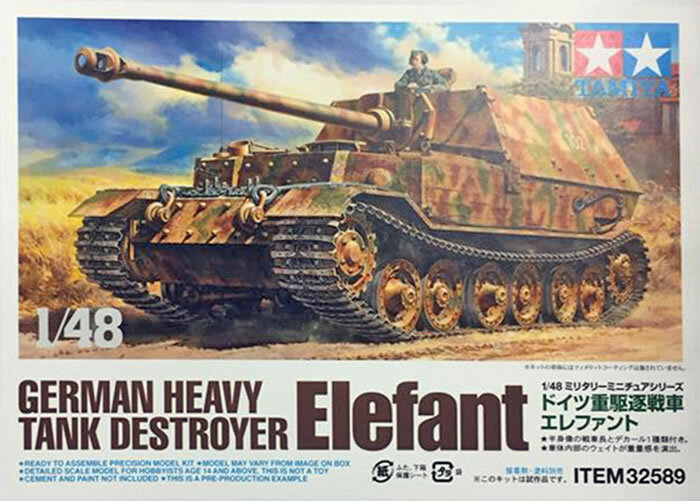 Tamiya released their 1:35 scale Elefant in mid-2012. 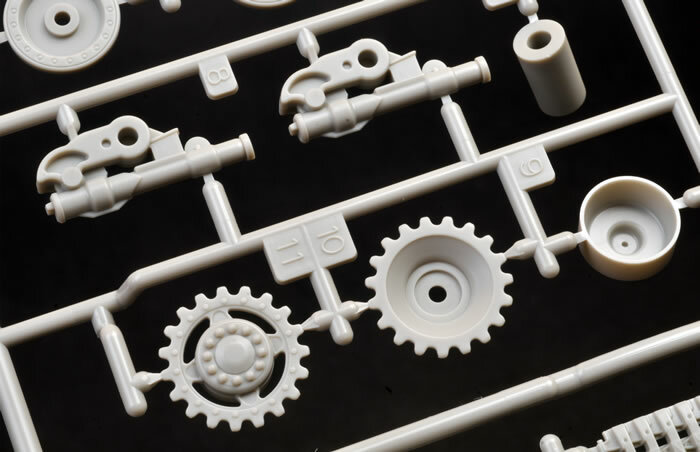 This was a great kit – well-detailed, simple parts breakdown, perfect fit and link-and-length tracks. 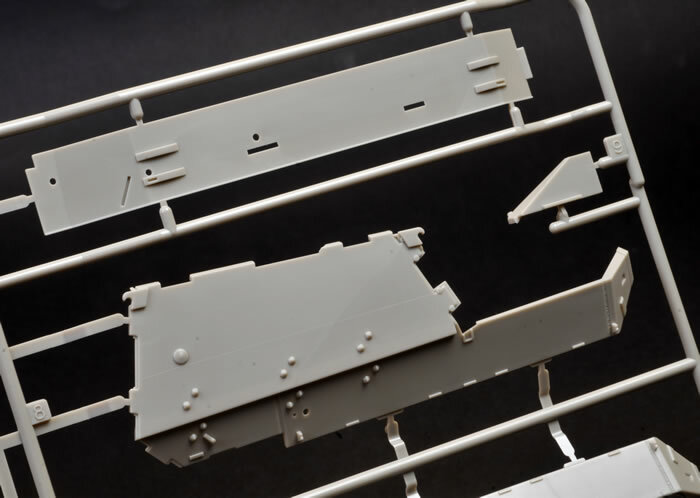 Fast forward to 2016, and Tamiya has scaled down this big Tank Destroyer to produce an all-new 1:48 scale kit. 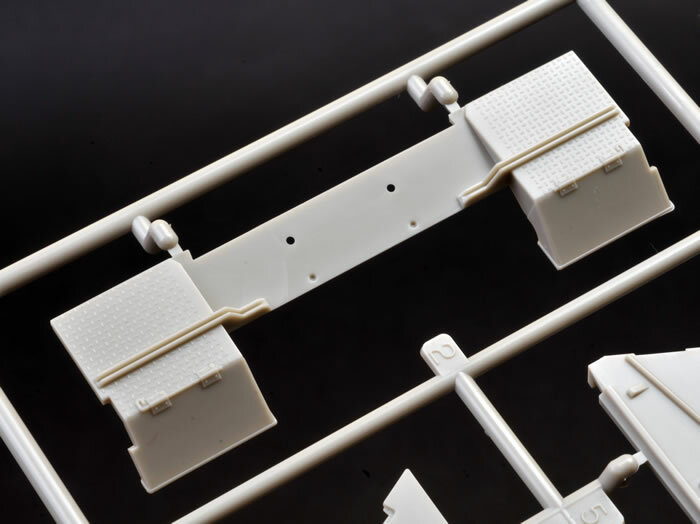 I was fortunate to receive a set of test shot sprues in advance of the kit’s release. 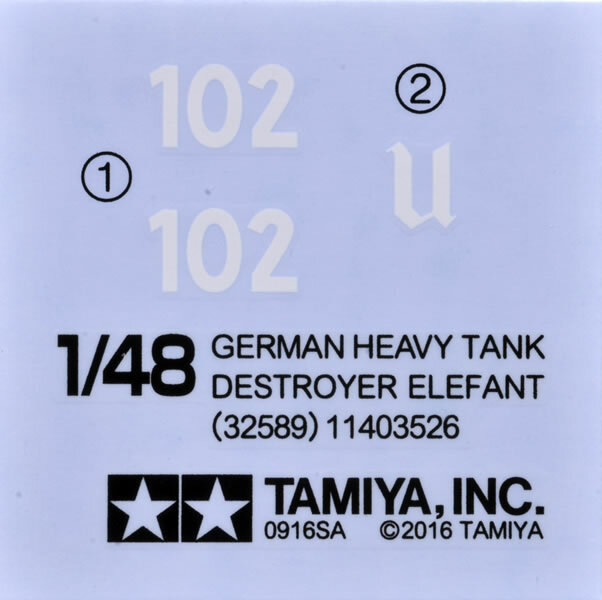 Tamiya’s 1:48 scale Elefant test shot comprises 192 parts in grey coloured plastic, ten polythene caps, four cylindrical metal ingots, a length of string and decals for one marking scheme. 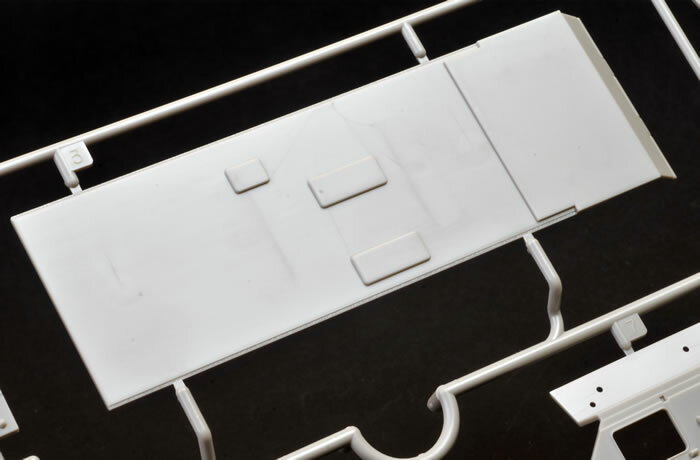 Unlike its 1:35 scale big brother, the hull and superstructure sides are moulded as one full side each with separate panels for the hull floor plus superstructure and hull front and rear panels. The track guards also double as sponson covers. 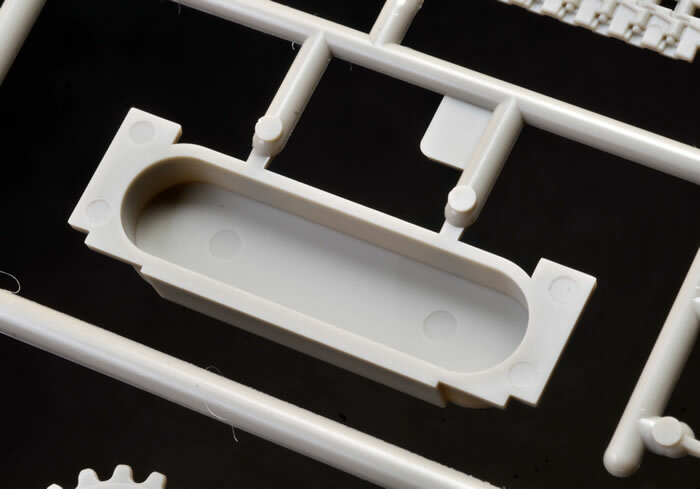 The internal casemate permits the gun to elevate and traverse thanks to a combination of polythene caps and snap-fit plastic parts. 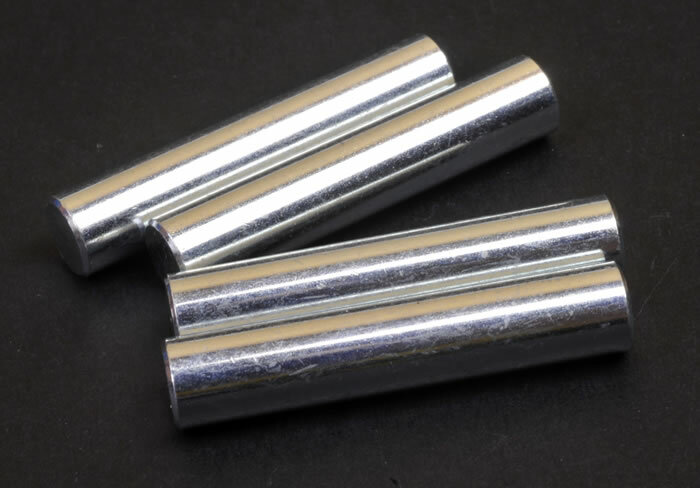 Typical of Tamiya’s 1:48 scale military kits, four cylindrical metal ingots are supplied for the lower hull to add “scale weight” to the model. 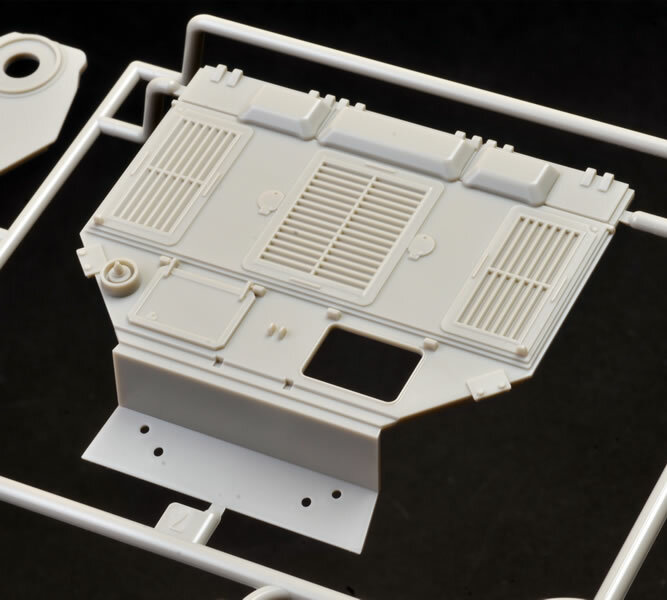 Both the driver’s and Commander’s hatches may be posed open. 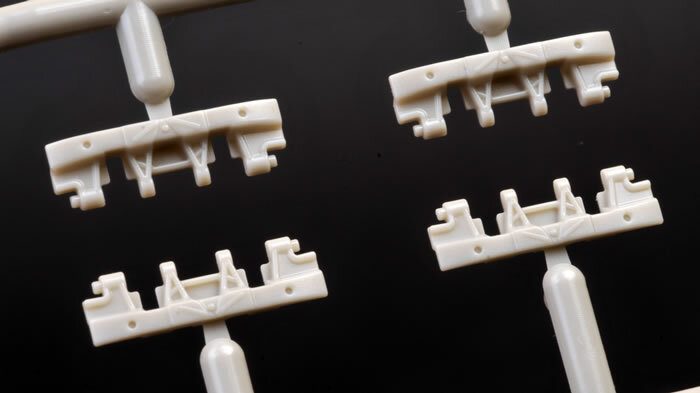 Tracks are made up from a combination of individual links and five different lengths. 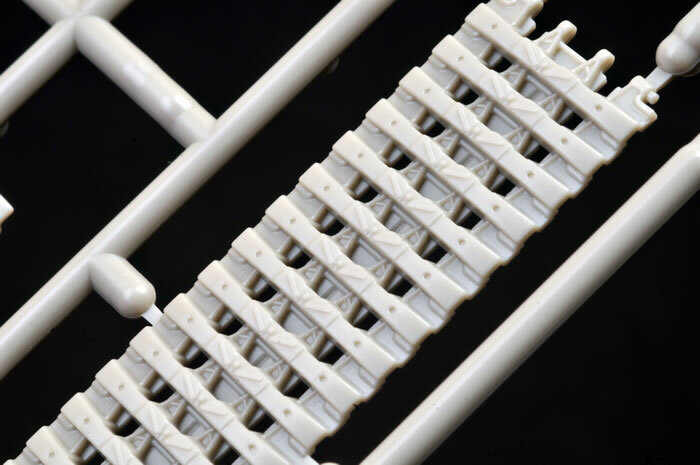 The lengths are moulded with curves in place – either up or down depending on their final position on the track run. 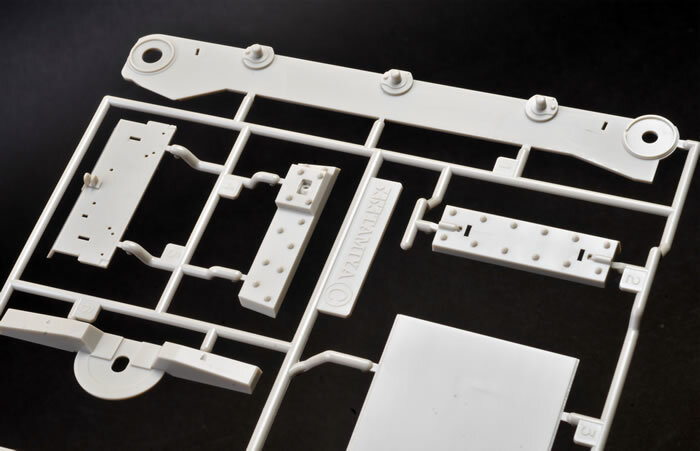 Outer and inner surfaces are well detailed. 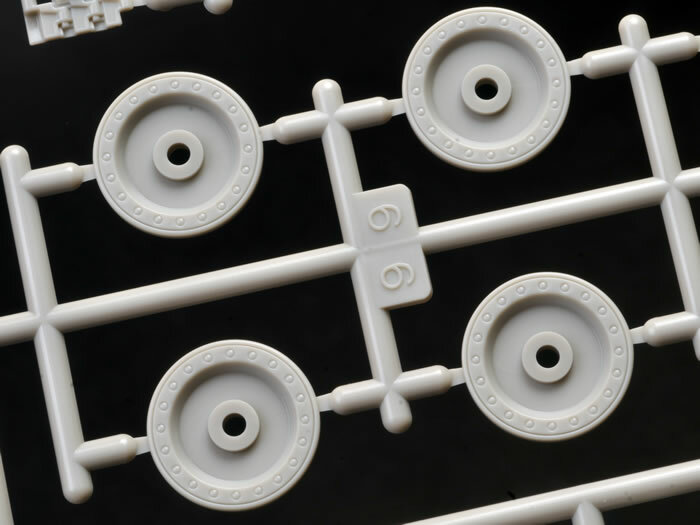 The plastic parts are rounded out with a Commander figure. He is well moulded and the facial detail is particularly nice. A single marking option is supplied on the small decal sheet. Tow cables are supplied as lengths of string. The instructions are well laid out over 17 steps with clear illustrations supplemented by text directions where required. The section dealing with the tracks is especially well done. 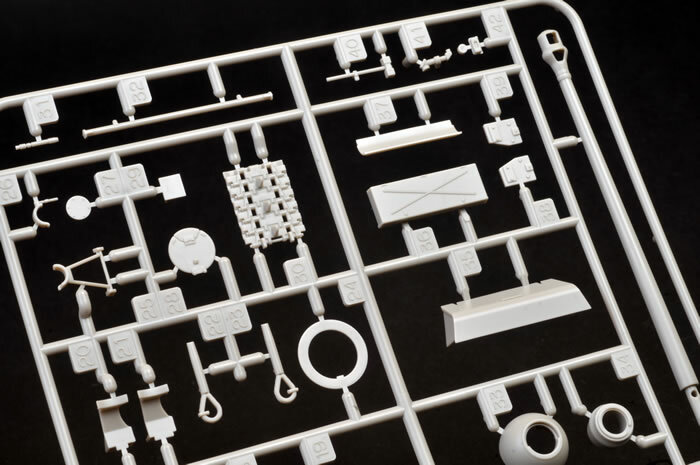 Once again, Tamiya has delivered a well-detailed and easy to build model of an iconic vehicle. All you will need to add is zimmerit. Tamiya's Elefant is another great kit in their 1:48 scale series. Sit back, relax and enjoy the build!